Le temps qui passe (7 x 6 inches), a dry point intaglio print with green chine collé. 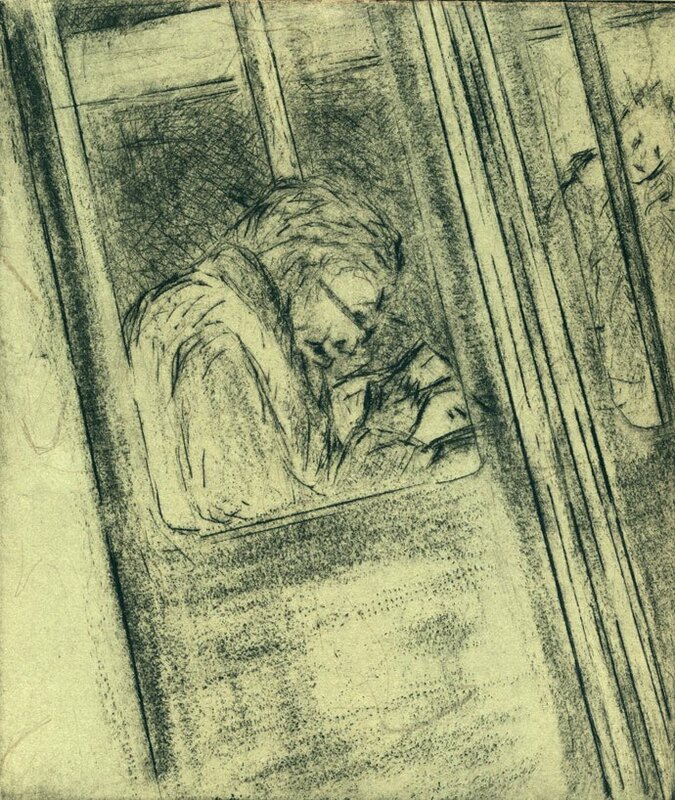 This print continues on the theme of people in the metro. The image is drawn on the copper plate with a dry point needle and roulette and the edition was printed on tan coloured BFK Rives paper with tatami green chine collé.I had initially intented to incorporate this image with two other plates, as can be seen in the trial proof La sortie II discussed previously, but decided that each image spoke better for itself individually.